When it is beneficial for a U.S. employer to hire a foreign worker, or for a foreign individual to work in the U.S., obtaining a legal Employment Visa is vital. In order to apply, the employer or foreign national must comply with all U.S. immigration laws and procedures, and this can sometimes be a complex process. Our team helps companies obtain the foreign and overseas workers they need legally, and in compliance with fast-changing immigration laws. We also help foreign individuals obtain work visas so that they are eligible for employment in this country. There are approximately 150,000 employment-based visas available annually through the Immigration and Nationality Act. If you are an individual seeking to work in the U.S. or business looking to employ a foreigner, our team can assist you to ensure that the employment status is legal and compliant. 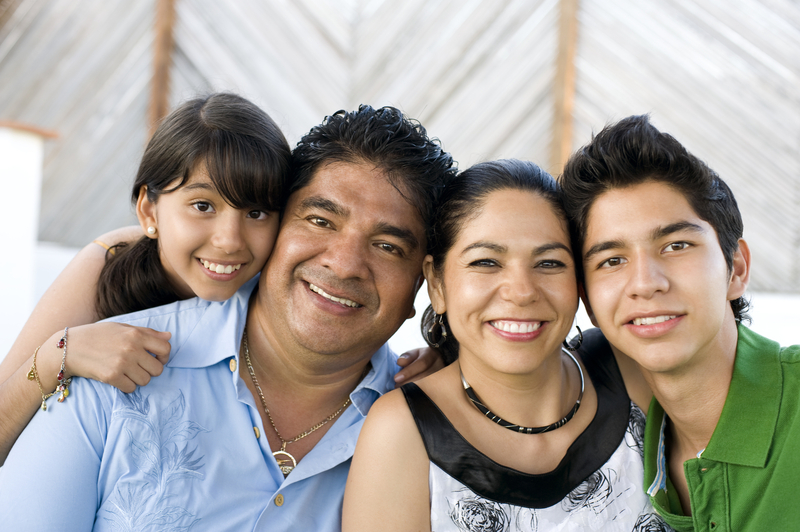 U.S. immigration laws are designed, in-part, to unite family members. Within family-based immigration, the most common goal is to bring relatives to live in the U.S. long term. There are numerous ways for an immigrant to obtain legal status in the U.S. through a spouse, sibling, or other family member. Each client’s situation presents various immigration options, and our team can analyze those options and discuss them with you. We can guide you through the process so that you can select the best course of action for your family. Those individuals seeking to bring family members to the U.S. for long-term stays generally should be U.S. citizens or permanent residents. Though there are many immigration channels for those who do not meet these criteria, the alternatives typically involve greater complexity. Contact us to discuss your family situation and goals. Becoming a U.S. citizen through naturalization entails meeting many requirements, and the process can often seem complex. Generally, only those who are lawful permanent residents or have honorably served in the military may apply to naturalize, although there some exceptions to this. Having the counsel of a knowledgeable immigration attorney is critical in order to determine your eligibility for naturalization or citizenship. Submitting an immigration application when you are not eligible can result in the loss of permanent residence, deportation, family separation, and permanent ineligibility for lawful status in the U.S. If you are seeking to become a naturalized citizen, our team will review your case in detail and provide you with the information you need in order to move forward successfully. Contact us today. As an immigrant to the U.S., there are many actions that can jeopardize your ability to remain in this country. If you are summoned to a deportation hearing before an immigration judge, you should never attend it without legal representation. It is critical to have a knowledgeable and experienced attorney by your side. Our team can mount an aggressive defense on your behalf, help you fight the deportation order, and hopefully avoid a costly trial. You may be eligible for several different defenses to removal such as cancellation of removal, asylum, AOS, voluntary departure, or waivers. If you are facing a deportation hearing, please contact us right away. If you are a victim of a crime, whether it be violent or non-violent, justice may need to extend further than a criminal court punishment for the perpetrator. In most cases, a victim of crime who suffers a physical or mental injury, or the loss of property, also has a civil claim against the person or persons responsible. However, strict time limits are applied to the filing of civil lawsuits. For victims of crime, it is critically important to contact an attorney as soon as possible. Our team has significant experience in assisting victims to obtain settlements, awards, and judgments on their behalf. We bring knowledge and compassion to every case, and seek to ease the suffering and burden for victims. Please contact us to discuss the specific details of your crime/violence case. Currently, the U.S. offers asylum protection to refugees from foreign countries who have either suffered persecution, or fear they will be persecuted due to their race, religion, membership in a particular group, or political beliefs. If the U.S. Citizenship and Immigration Services declare an individual eligible for asylum, then he/she may be permitted to stay in the U.S.
An individual seeking asylum is allowed to also include a spouse and children who are in the U.S. on the asylum application or at any time during the process before the case decision is made final. However, children must be under the age of 21 and unmarried to be included in the application for asylum. If you desire to seek asylum in the U.S., contact us to discuss your case. Copyright © 2017, Yohana Saucedo, Attorney at Law.